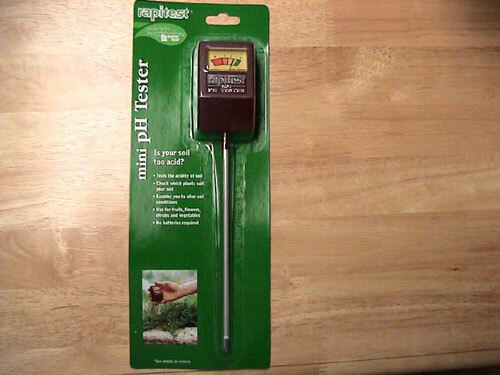 Mini pH Tester Meter. All you need. Tests the acidity of soil in you worm bin and garden. Enables you to alter soil conditions. No batteries required!. You can use over and over! Detailed Instructions Included. All you do is stick it in the soil and an accurate pH reading will show on the meter display. Shipping included! $14.40 Free Shipping via USPS Priority Mail!